Do You Know What You Can Bring on a Plane? Recently, we gave you helpful tips on the handy items to pack in your carry-on. However, based on your personal taste, you may want to bring other necessities. When you’ve carefully packed your travel amenities, seeing airport security toss your items in a bin can be frustrating. To increase the chances of your carry-on having a positive screen test, it’s vital to know what you can bring on a plane. Popular questions with regards to what is permitted on an aircraft range from the practical “How much liquid can I take on an airplane?” to the downright amusing “Can I bring weed on a plane?”BWant to get a quick snapshot of what you are allowed in your carry-on? Then read our visual ‘What Can You Bring on a Plane’ guide that shows some of the items flyers are allowed in their carry-on. Based on feedback from our team and travel experts, we compiled a Q & A list based on the most frequently asked airplane queries. How Can I Fly Safely with My Dog? Is Knitting Allowed on an Airplane? How comfortable would you feel if you knew the air passenger next to you was carrying a lighter made to imitate firearms? Not very, right? It’s perfectly understandable why airlines have strict lighter rules. If you’re a smoker, before you have a panic attack, relax. According to the Transportation Security Administration (TSA’s), one butane or Zippo lighter is allowed in carry-on luggage. However, if you store one lighter in your carry-on, you are not allowed to bring it out. You are permitted to carry a lighter in your pocket but it must stay there. With these flight restrictions, you may want to ask yourself if it’s worth bringing your lighter in the first place. Arguably, you may find the regulations bearable as you can puff away in the airport’s designated smoking areas. All the food items you plan to bring on the plane will be X-rayed just like your other belongings. 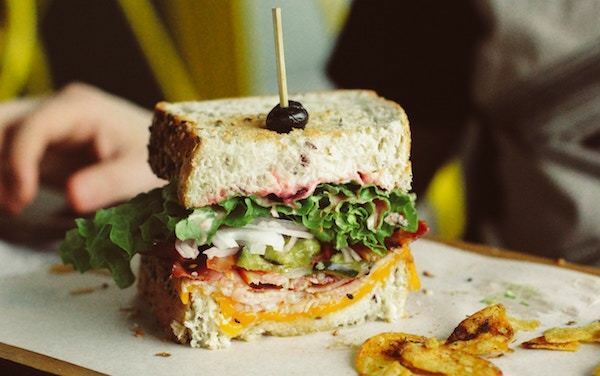 To ensure the goodies you pack for your trip actually make it through airport security, you must be aware of the TSA’s food rules. If you are looking for a quick way to check if your food item will be approved, the TSA has an app which flyers can use to search particular foods. When packing edibles, it’s important to know your airline’s restrictions on solid foods and gel food items. Solids can be packed in either your checked baggage or carry-on. According to the TSA, gel food or liquid items larger than 3.4 oz are not allowed in carry-on luggage and should be placed in checked baggage. You will be allowed to carry firm foodstuffs like whole natural foods (vegetables or fruit), cakes or burgers. Solid snack foods like potato chips, carrot sticks and cookies are also permitted. Carry the foods in a spill-proof container or securely wrapped. If you are thinking of bringing thickened liquid like jellies, oils, ketchup or yogurt, they will not make it on the aircraft. These foods are prohibited. Before you pack your alcohol of choice in your carry-on luggage, make sure you are up-to-date with the 3-1-1 rule for carry-on liquids. In a nutshell, the TSA’s 3-1-1 rule means that flyers must carry liquids in restricted amounts. To be exact, creams and liquids should be put in travel-sized containers that are 3.4 oz (100 milliliters) or less per item. To facilitate the screening process, place these items in one clear quart-size, plastic zip-top bag. 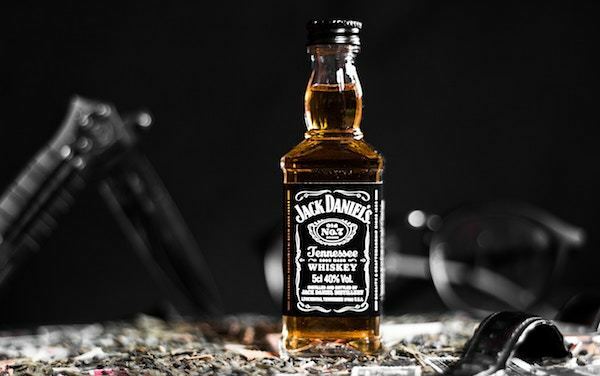 If you wish to carry liquid more than 3.4 oz, it needs to be packed in your checked baggage or shipped. We all want to arrive our final destination looking refreshed and for many flyers, this involves doing a quick touch-up upon landing. The need to do this is more pronounced after a long-haul flight. 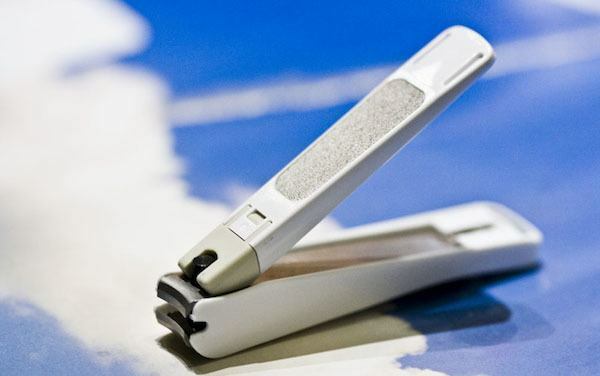 All those hours in an air cabin can lead to dry, lackluster skin and no one is a fan of smudged or faded makeup. Consequently, it’s important to know which makeup and toiletries are allowed on an airplane. Liquid cosmetics include nail polish, moisturizers, eyeliner and foundation. When deciding which liquid cosmetics to carry, the TSA’s 3-1-1 liquid rule we explained above applies. Therefore, ensure your cosmetics are not more than 3.4 oz and all products must fit in a clear, plastic, resealable and quart-sized bag. Toiletries like liquid soap, mouthwash, toothpaste, hairstyling gel are subject to the 3-1-1 liquid rule. Deodorants in spray or gel form must be carried in the same quart-sized bag with all your other liquids. Stick deodorants have no restrictions, but to pass screening, carry them in your quart-sized bag. You’ll be relieved to know that most toiletries can be bought in travel sizes that satisfy the 3-1-1 rule, sparing you from having to measure each item. 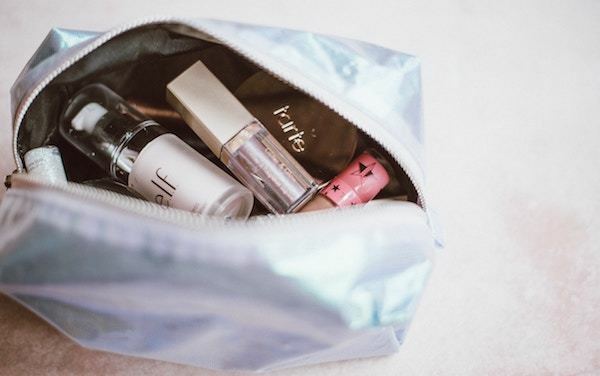 If you’d like to carry your lipstick, blushes or other non-liquid makeup onto the plane, these are not subject to restrictions. Objects that can double up as weapons are generally forbidden in carry-on luggage. For the most part, this should give flyers peace of mind. Laptop, camera, phone… we all travel with one type of battery device or another. For regular flyers, access to these items during their trip can make or break their travel experience. 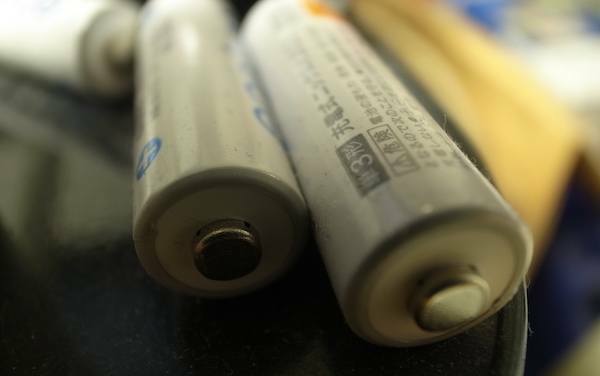 Some batteries are forbidden from being packed in a carry-on or checked luggage. They include spillable batteries like car batteries. Exceptions can be granted if the batteries are used for a wheelchair. However, you must pass this battery information to the aircraft operator, so the battery can be packed correctly for the airplane. If you plan to bring a battery onboard, be sure you know the best way to wrap it for a plane. The Department of Transportation has a great selection of airplane battery packing tips. Battery chargers are allowed to be packed in carry-on and checked bags. To avoid a hazardous incident in an airplane, avoid packing your regular/non-rechargeable batteries in a rechargeable battery charger. Last month, United Airlines was trending for all the wrong reasons. During a flight from Texas to New York, a dog died after being placed in the plane’s overhead bin. Following the instructions of the flight attendant, the dog had been put in the airlines’ overhead compartment for the three-hour flight. 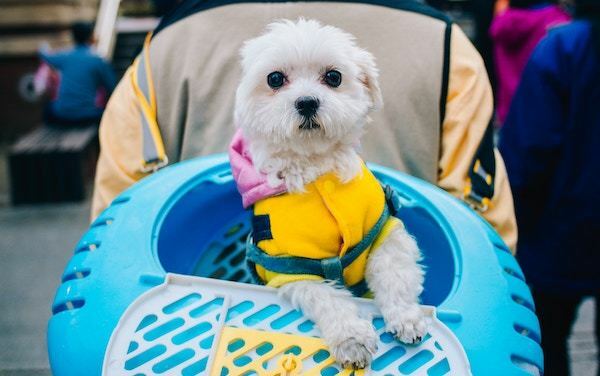 The fact that the family had followed the airplane’s dog rules to the letter, which included using a TSA-approved pet carrier, further enraged the public. Since the tragedy, United Airlines have taken full responsibility for the needless tragedy. What is the Best way to Air Travel with Your Pooch? If you wish to travel with your furry best friend, we advise you to research the individual airline to be aware of their pet rules. Some airlines only allow assistance or guide dogs to travel in the cabin. Others base their paw fees on your pet’s size and weight, plus their carrier’s measurements. How do you like to relax on a plane? Personally, I like to catch up on movies. If you enjoy knitting, it’s understandable if you want to know if your needles could be misconstrued as a weapon. According to the TSA, knitting needles are permitted to be packed in your carry-on. However, remember that you and your needles are at the discretion of the airport security. If security decides your needles fall under the ‘sharp weapon’ category, they can seize them from you. 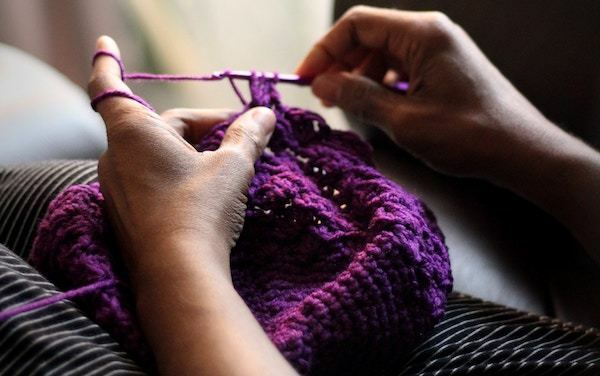 Regular traveler and knitter, Elizabeth Bagwell advises knitters to avoid taking long, metal needles on a plane as “they look most dangerous and metal is most likely to set off the scanner”. To ensure a speedy security process, do check your airline’s regulations online. Regulations can change and you want to avoid any disappointment. Pack smart and safe travels!